Two Way Audio: It support two way audio so you can chat to your visitors while watching the video. 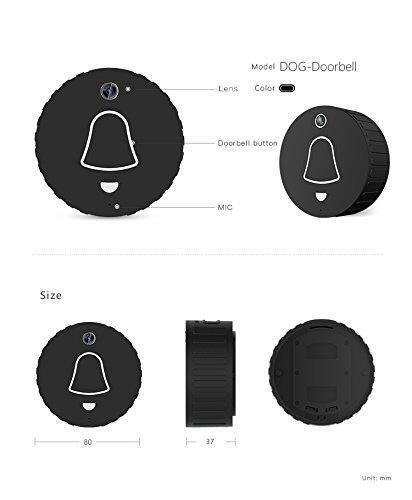 Packing Contain: Smart Doorbell, Indoor Bell, USB Power Cable, Screw, Manual for Installation. Free App: You can download free 'Cleverdog' app from App store or Google Play. Low Energy Comsuption: 5000mAh battery can stand by for more than one month. With a Lithium battery inside the doorbell, fixed it with screws. 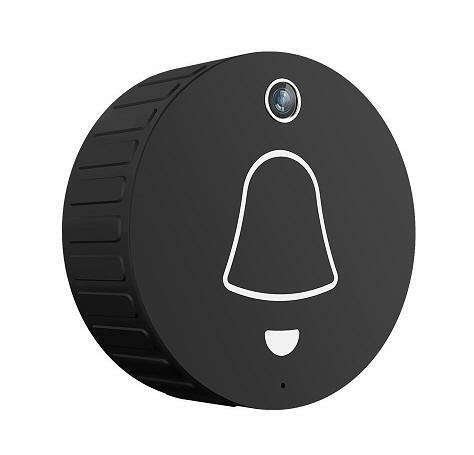 With imported American low-power Wi-Fi chips, the doorbell could sustain 4-6 months. Via the App we could do full-duplex speech and watch the real-time video, know what happened outside the door. Realize talking with the other side of the doorbell via App on mobile devices. Via the APP, you could control wifi lock and Bluetooth lock. It supports full-duplex speech, and makes you communicate with your family while watching the video, then enhances the relationship of your family. 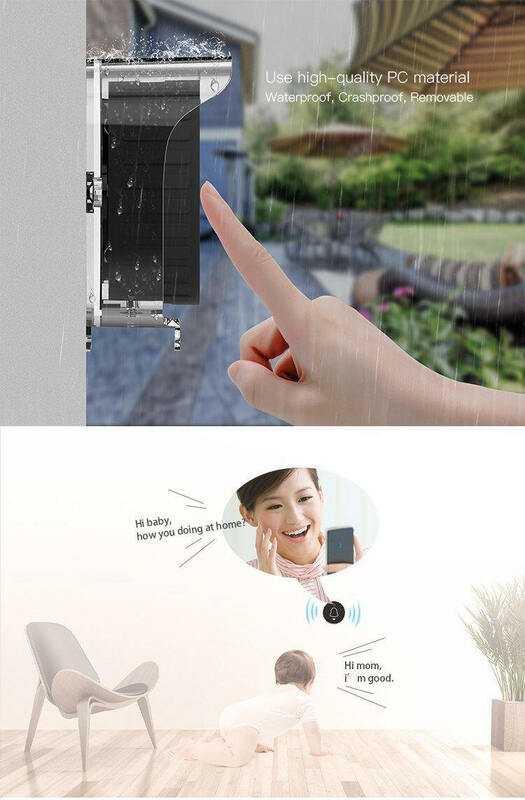 It supports motion detection and auto-capture dynamic images. 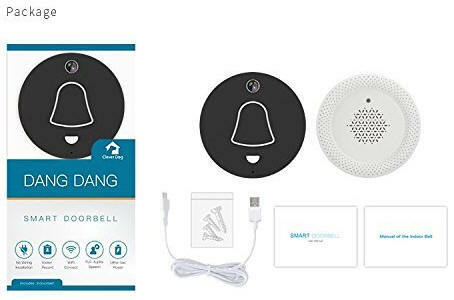 After images comparing it would transfer the alarm message to your smartphone or tablet if it judged that your properties were invaded. It supports auto-recording, and can quickly locate pictures by timeline. It supports video picture capture, by which you can share the exciting moment to your friends and family. Deploying P2P technology, it can establish direct connection between the smart phone and the camera. To ensure the data security and prevent it from data leak aging, all video pictures are stored locally, instead of saving in the server.